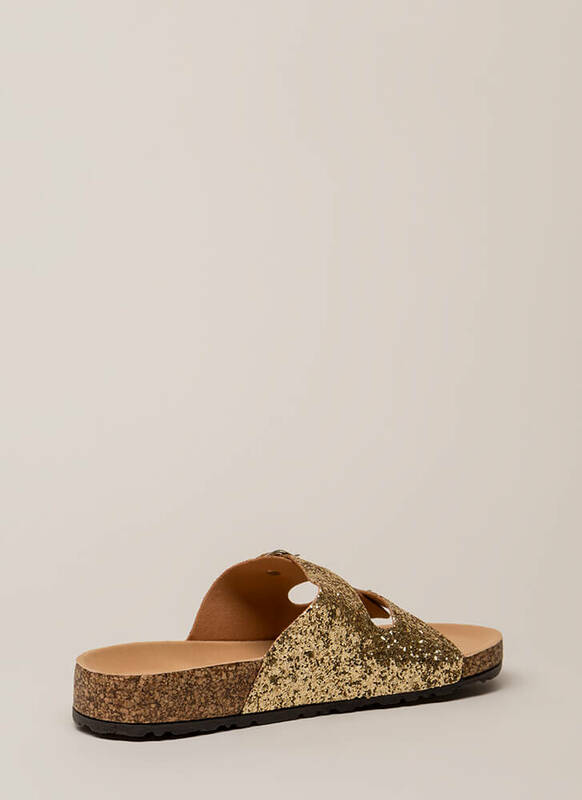 Need an alternative to your smelly ol' flip-flops? 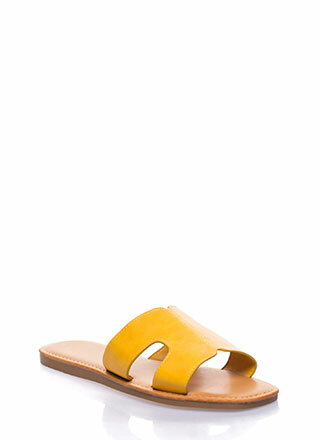 Go ahead and give these babies a try! 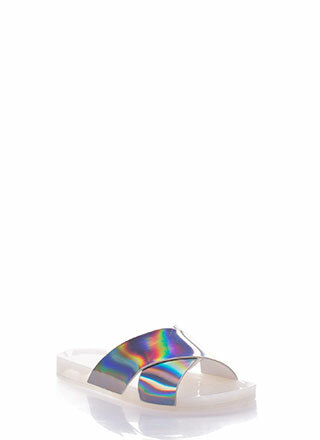 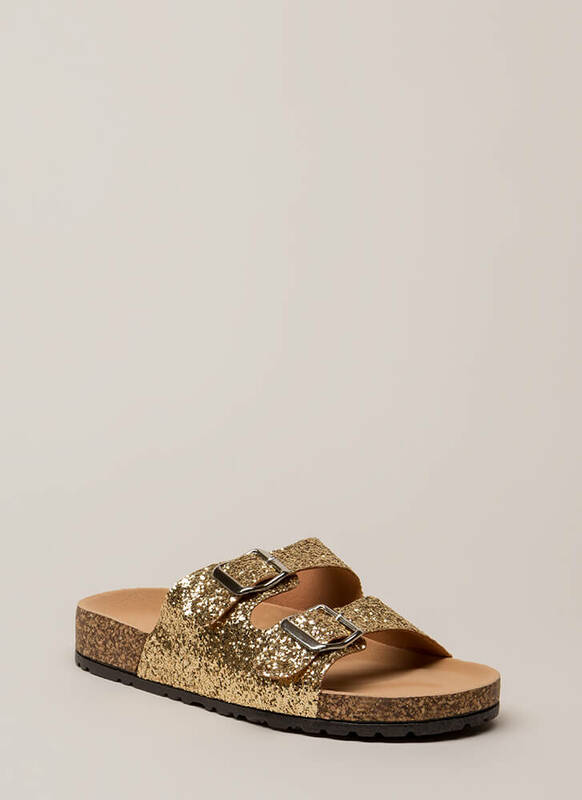 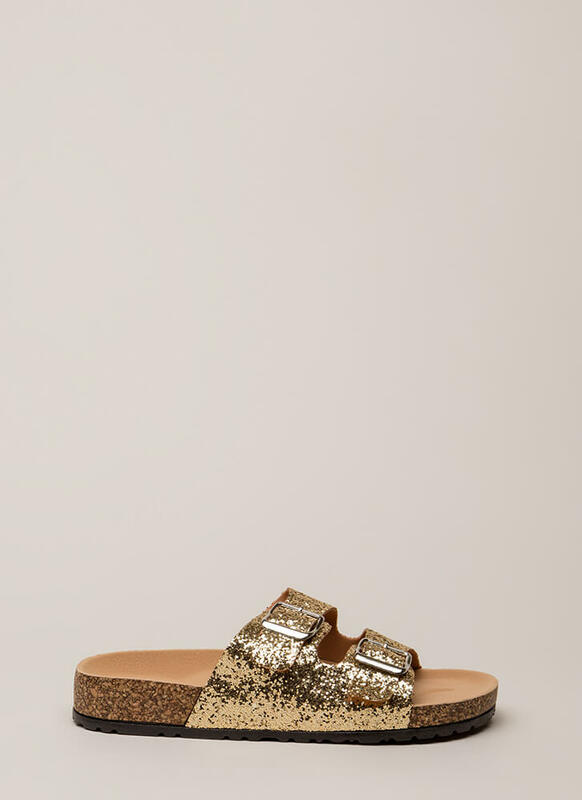 Glittery open-toe slide sandals feature a cut-out upper with two adjustable buckled straps, as well as a stacked platform with cork accenting, a molded footbed, and a patterned sole.